OceanWise, in its role as Expert Contributor to the International Hydrographic Organisation (IHO), is attending the Meso-American & Caribbean Hydrographic Commission (MACHC) in Belem, Brazil from 12th-17th December. The MACHC meets annually to coordinate hydrographic and oceanographic activity at a regional level in areas such as hydrographic capability, chart production; planning and overseeing survey operations; defining capacity building priorities in, for example, Maritime Safety Information, Data Management and Marine Spatial Data Infrastructures (MSDI). Membership of the fifteen IHO Regional Hydrographic Commissions (RHCs) across the World comprise IHO Member and Observer States and invited industry partners. 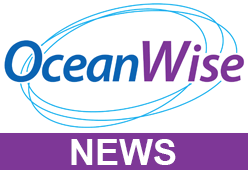 OceanWise will be speaking at the event on Data Management and MSDI and how OceanWise can contribute to the socio-economic and economic development of the region through its marine and maritime monitoring, software and training services.